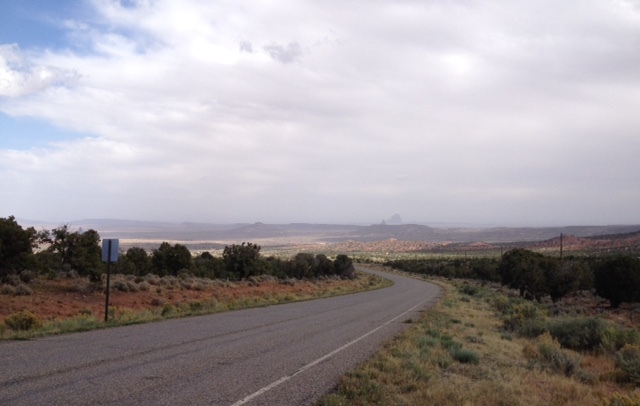 This is Buffalo Pass, a mountain road in the Navajo Nation. This time of year, New York City-based film critics are attending press screenings at the New York Film Festival. That is where I would be as well, but this past August, I accepted a faculty appointment in the English Department at Diné College, in Tsaile, Arizona. It was founded as a community college in 1968, the first Native American institution of its kind. The college now offers several B.A. degrees to its approximately 1,600 students, the majority of whom are Navajo. Students also come from neighboring tribes, including the Hopi, and from indigenous communities across the United States, as well as from other countries. Tsaile consists of a gas station and its store, and Diné College. 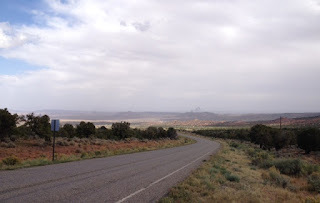 The town is about 7,100 feet above sea level, and is in the Navajo Nation, the reservation of the largest group of indigenous people in the United States, the Diné ("the people" in the Navajo language). A reservation that my husband and I have visited many times over the last 20 years (we were here on 9/11), the Navajo Nation is known to most Americans as an area that encompasses some of America's most beautiful national parks, including Monument Valley and Canyon de Chelley. For the Diné, it is their homeland, the place of their ancestors, its boundaries the four sacred mountains, Mount Blanca, Mount Hesperus, Mount Taylor and the San Francisco Peaks. The nation spans three states, Arizona, New Mexico and Utah, and its official language is that of the famous Navajo Codetalkers. I will continue my work as a film critic and feature writer, so please do check back here for links to my movie reviews and features. I am at this moment preparing for several filmmaker interviews with directors of documentaries and features screening at NYFF. 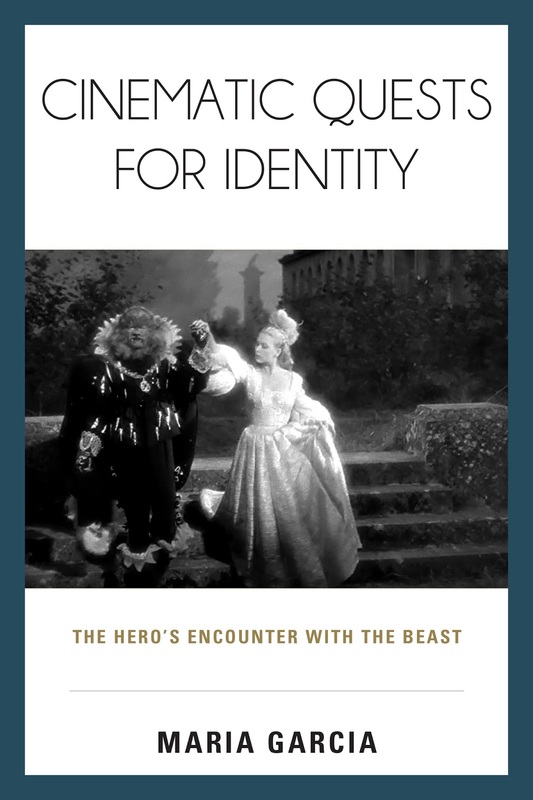 I will also continue to cover new quest films on my Facebook public page (https://www.facebook.com/MariaGarciaNYC), which I began with the publication of my recent book, Cinematic Quests for Identity: The Hero's Encounter with the Beast. This is my backyard in Tsaile, where I see bluebirds every morning. Mark Osborne's The Little Prince had its premier yesterday in theaters and on Netflix. If Antoine de Saint-Exupéry’s children's book, "The Little Prince," never appealed to you as a girl, perhaps it was because you felt a man's nostalgia for his boyhood, rather than a world seen through a child's eyes. And, you would be right. Actually, "The Little Prince" was for the French author (and real-life pilot) a mid-life return to his boyhood wisdom. It is the story of a boy and a man, but now it is a girl's quest movie. You can read my review of of the film here: http://www.filmjournal.com/reviews/film-review-little-prince. 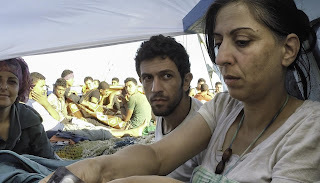 The last of my interviews for the Human Rights Watch Film Festival was just posted on Film Journal International's website: http://www.filmjournal.com/features/george-kurian-the-crossing-syrian-refugee-short-human-rights-watch-film-festival. This one is with George Kurian for The Crossing, a documentary short about a group of Syrians who had been living in Cairo, and decided to risk yet another emigration, this time to Italy. Links to my other filmmaker interviews appear below. Human Rights Watch Film Festival, which opened on June 10th, comes to New York City every year, and I have been covering it for nearly a decade (for Film Journal International) because it remains one of the most important venues for short subject and feature-length human rights documentaries and narrative films. 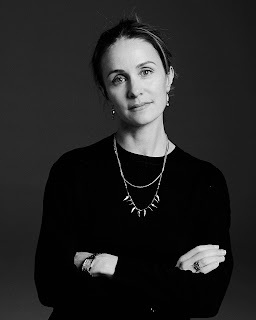 My overview of the 2016 slate is here: http://www.filmjournal.com/features/advocating-women-female-issues-dominate-human-rights-watch-fest. As part of my coverage, I interviewed Iranian filmmaker Mehrdad Oskouei for his documentary Starless Dreams, about a juvenile detention ward for girls: http://www.filmjournal.com/features/juvenile-injustice-starless-dreams-painfully-intimate-look-imprisoned-girls-iran. It screened at HRWFF this weekend. You can read my interview with American filmmaker and former Black Panther Jamal Joseph for his debut narrative feature Chapter & Verse, the story of a former inmate who returns to his Harlem neighborhood: http://www.filmjournal.com/features/fathers-and-sons-jamal-joseph-depicts-redemption-harlem-chapter-and-verse. The film screened on Sunday, June 12th, to a full house. 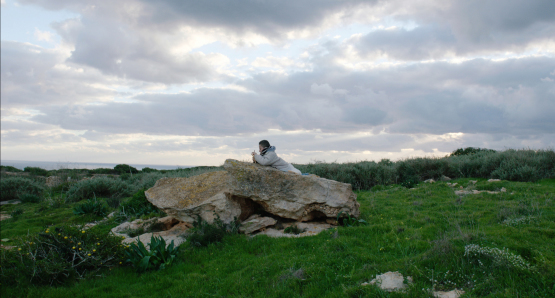 Check back for my upcoming interview with George Kurian for The Crossing, a documentary short about a group of Syrian refugees that will screen at HRWFF on June 15th and 16th. Mbissine Thérèse Diop, the star of Black Girl. Closing in on Oscar Night . . . If you have ever wondered how a production designer’s drawings express the vision of the film director, or what a re-recording mixer does, or the nature of the relationship between composers and film directors, click on the links to the left, “About Film Production.” All three articles contain interviews with past Oscar winners, and will give you a greater appreciation for the diverse group of artists that contribute to the making of a motion picture. 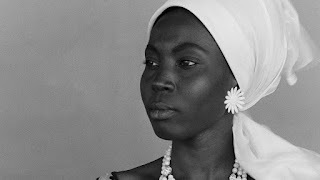 (I have updated the links so that they may now be read on Film Journal International’s website instead of on Heistbox.) 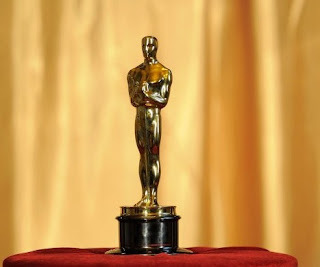 BTW, If you are a fan of short films, please use the links under “Film Reviews (Online)” to read my reviews of this year’s Oscar-nominated Live Action and Documentary shorts. They are playing in theaters across the country this week, and will likely be available on iTunes later this year. Professors of film, literature into film, literature, and mythology, I have written a lesson plan that will take your class through several weeks of the upcoming semester. Click on "Features" on my book page: https://rowman.com/ISBN/9781442246973. The lesson plan is classroom-tested! I have been a part-time instructor/lecturer of writing, film and lit classes for over two decades. Janis as she appeared in her high school yearbook.